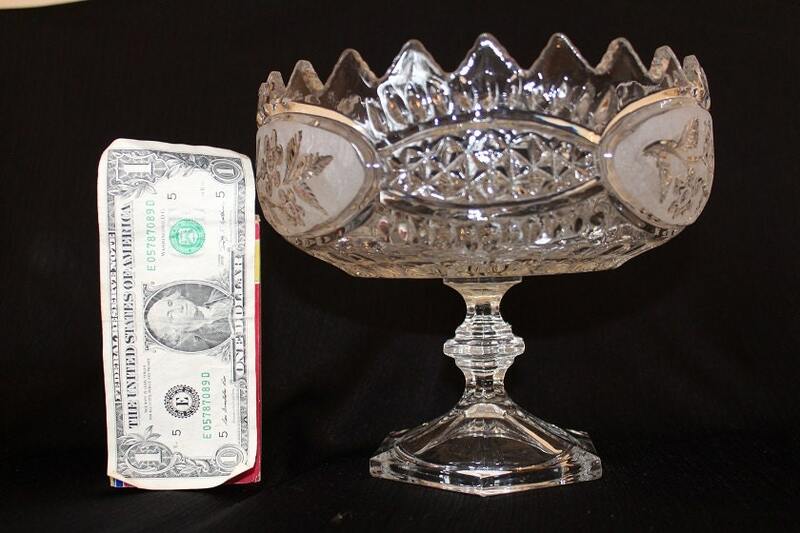 This crystal pedestal bowl is a heavy piece. 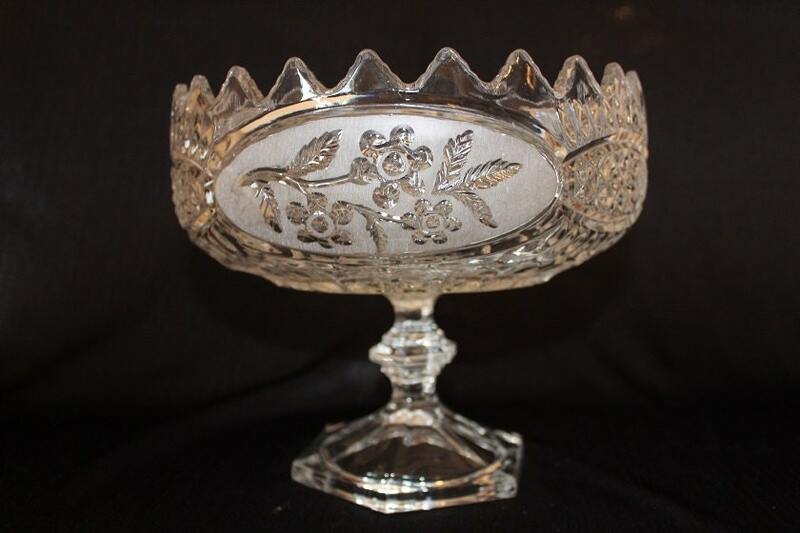 It has 3 frosted ovals with a clear pressed floral design which circles around the sides separated by a clear pressed glass geometric pattern. In the center of the pedestal is a stack six sided pattern. 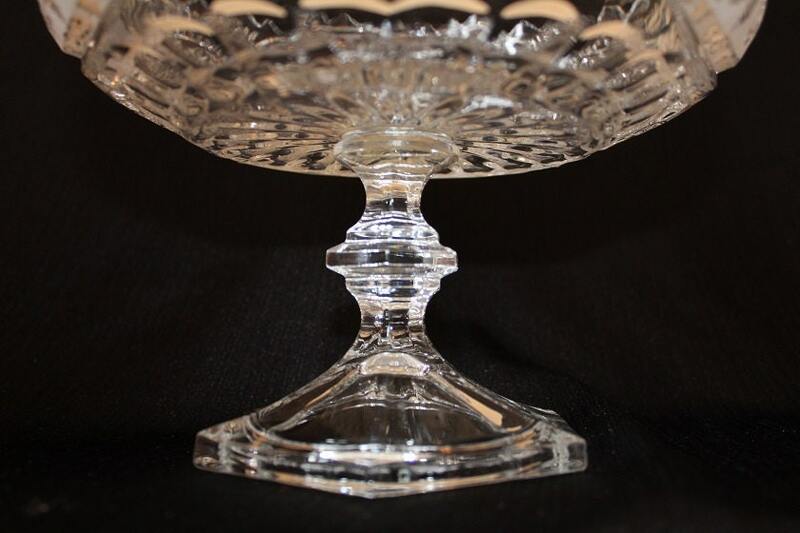 The base is a thick clear glass with. 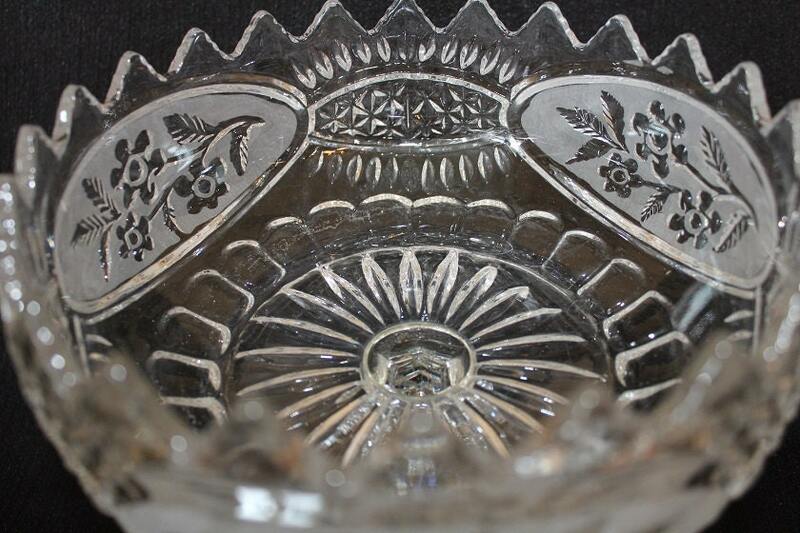 The vase has a saw tooth scalloped around the top rim. This piece has a nice ring. approx. 8 1/2 inches diameter.